Monrovia – Lawyers representing communities in Bong County affected by a massive cyanide pollution have accused the Environmental Protection Agency of “suspicious activities” after the EPO refused to make public reports of investigation conducted to access the impact of the pollution. 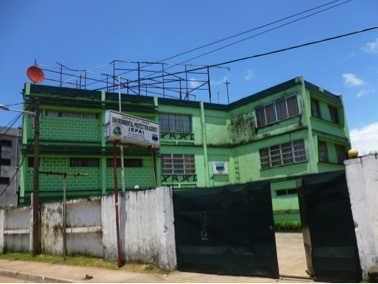 The Woah and Associates Law Firm, Inc., is representing Sayewheh Town and several other surrounding villages in Kokoyah, Bong County, seeking compensation for environmental degradation by a Turkish mining company, MNG Gold Liberia. According to a new report compiled after a fourth investigation sanctioned by the Liberia National Police, the company is liable for polluting the community water source and flora and fauna as a result of “a catastrophic failure” of its tailing storage facility (TSF) on September 27, 2017. Some of the chemical that spill into the community includes cyanide, mercury and lead, which are highly dangerous to the community residents, the report said. It also accused the company of failing to make interventions during the chemical spill over, leaving numerous children and women in unattended corridors of the basic medical/nursing facilities without medical treatment. The report disclosed that three million gallons of diverse toxic chemicals were released in the community by MNG and will remain in the environment for decades to come. Although the latest report has not yet been made public, FrontPage Africa obtained another report by the National Bureau of Concession (NBC) to the Liberian Senate quoting excerpts from the original report sanctioned by the LNP in 2017. Cllr. David Woah, a senior partner of the law firm, told FPA that the actions of the EPA would put the government in a legal problem if the case against the mining company is taken to an international court for litigation. In the firm’s first letter dated March 28, 2018 to the EPO’s former acting Executive Director Urias S. Goll, it rejected the agency’s test and analysis results of the pollution, while requesting that samples be turnover to an independent institution for authentic testing and analysis. In another letter to the EPA dated April 4, 2018 and addressed to Nathaniel Blama, the current Executive Director, the law firm again requested copies of the result of various tests and analysis conducted on drinking and creek waters in the affected community. But the EPO is yet to respond to the firm’s requests, telling FrontPage Africa that it made public, details of the report, to the press in 2017 and published same on its website. Efforts to access the report from the agency’s website proved futile as the site appeared to be under maintenance. In another attempt to obtain the reports to enhance its legal investigation of the situation on behalf of the community, the firm again wrote a letter to the NBC. In the NBC’s response to the law firm which was signed by Commissioner Gregory Coleman, the commission expressed its intent to support the lawyers’ quest to seek the interest of the affected community. It assured the firm that it will give “fullest support and cooperation in providing the necessary updates” about the situation. For the EPO, no communication is said to be released to the community through their legal representative. However, Alloycious Kotee, EPO’s Compliance and Enforcement Manager, told FPA on Thursday that he couldn’t comment further on the issue since the case was now before the Ministry of Justice. Kotee also couldn’t deny receiving requests from the law firm seeking copies of the reports. Cllr. Woah said the Justice Ministry on Thursday, June 21 unofficially invited the firm to a meeting involving all parties but the MNG Gold administration requested that the ministry gives it 10 days to prepare because key members of its legal team are out of the country. In another twist of events, the Liberian Senate has denied receiving the recent report obtained by FPA, which was intended to abreast the lawmakers about the independent investigation conducted by a Ghanaian firm. The latest revelation about the report is casting doubts over the handling of the pollution by the relevant government agencies. 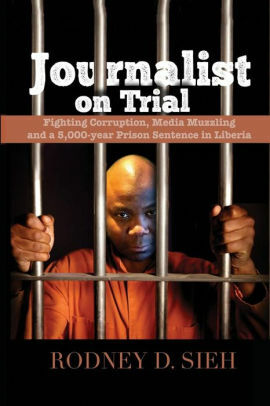 And it also puts the fate of some of Liberia’s poorest communities that are still suffering from the impact of the pollution in limbo, at the same time constraining the law firm which is now opting to evoke the Freedom of Information Act in order to have access to the report that is consider a public document.